Institute of Language Management is a Bangalore based organization which focuses on developing the art of language skills of students, communicative skills, English knowledge using drama skills, creative writing skills, arts and crafts and other recreational activities . Started in the year 2001, today ILM has emerged as the PREMIER AND THE LARGEST ART OF LANGUAGE SKILLS, English knowledge and OTHER RECREATIONAL ACTIVITIES TRAINING Organization for students. Having received an overwhelming response from over 350 schools and having access to over 300000 students in a year, ILM has emerged as an experienced, trusted, accountable and the MOST PREFERRED training/coaching institute in the field of teaching the Art of Communicative Skills and other recreational activities to the students' fraternity. ILM'S main objective is to help the student community to acquire proficiency and fluency in the most widely used language in the world i.e. English. ILM'S recreational activities classes are also delivered as a part of the curriculum to the students of the schools . Students from Tamil Nadu, Kerala, Karnataka, Telangana, Chhattisgarh, Maharashtra, Rajasthan, Punjab, Madhya Pradesh and Andhra Pradesh have benefited under the guidance of our expert trainers, teachers and coaches in the last 11 years. ILM'S training in communicative skills in English/English knowledge using recreational activities help the participants to relax and refresh their minds. ILM'S training creates positive outcomes such as confidence, self-respect, self-esteem, trust, self reliance and leadership abilities etc. 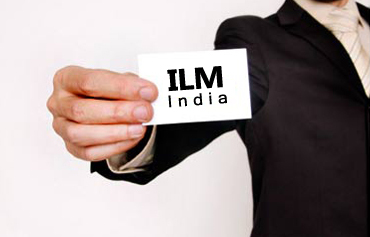 ILM is a corporate member of ASSOCHAM, India. We have introduced an exclusive online Service - ILM'S School Management System which helps the school in knowing the performance of their students, managing and monitoring ILM'S activities and performance. 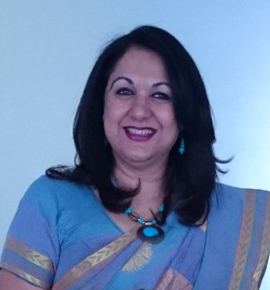 At the helm of ILM are the 2 Directors - Ms Ronila Kalro (Academics) and Mr. Sanjay Subramanya T (Administration). Mr. Sanjay Subramanya, hails from the legal background which assists him in successfully managing and running the organisation with Ms Kalro. 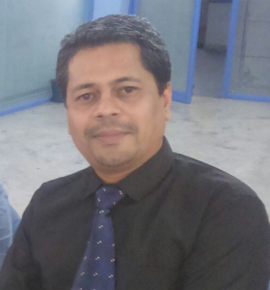 He is the visionary behind ILM'S rapid growth in this field. They are ably supported by a team of State Heads, Zonal Heads, District Heads, Chief Coordinating Faculties and Team Leaders who co-ordinate and effectively implement ILM'S programmes in schools and colleges. ILM has a workforce of nearly 600 trainers who are trained in ILM'S "TRAIN THE TRAINER" programme which is offered free of cost for ILM'S trainers/teachers. She is one of the fortunate few to have had her education in some of the most reputed institutions, where impeccable English was the essence of her daily life. Realising the importance of this language in a student's life compelled her to embark on this journey of equipping students to cope with the barriers in communicating in English.